Last week we published the first part of this two part article that discussed the mindset of Wilfredo the day before the Spartan Ultra Beast at the Worlds Championships at Squaw Valley in Lake Tahoe, CA. 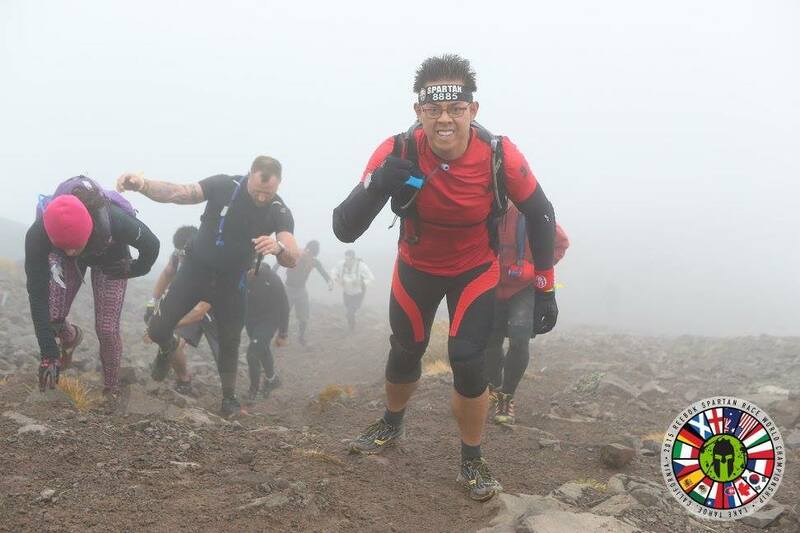 In this second installment, we followed up with Wilfredo after the race to get his responses having now participated in the Spartan Ultra Beast. More importantly, we wanted to know if he completed the race. To lend a little perspective to the toils Wilfredo and others endured, let’s take a look at the event as a whole. The Spartan Ultra Beast began as hordes of participants huddled at the starting gate Sunday morning at 6 am. Be assured, most had heard rumor of the course from the Spartan Beast participants that took to the course the day before, and these rumors settled into their psyche as they shivered in the damp 40 degree weather and darkness. Furthermore, the night before was not kind to the mountain as rain, snow flurries and hail fell on the mountain late Saturday and overnight making a mess of the already treacherous terrain. Low overnight temperatures made any obstacle with water a serious threat as the water temperature was guaranteed to remain extremely cold. As the participants were sent on their way, a trail of headlamps could be seen making their way along the first mile loop, like ants marching through the woods. It wasn’t long before the entire pack was presented with water as they waded through a series of water trenches not a half mile into the event. This was just the start of the participant’s misery. At the top of the mountain, some 9000 feet above the start, though rock and root strewn single tracks and shale fields, a lake swim awaited as did a dunk wall shortly later. This lake and dunk wall would be the end of the road for so many. And unlike Saturday, Mother Nature was not done with its dark blanketing of the mountain. While there were moments of sun that poked through, most of the day at the top of the mountain was filled with dark skies, strong wind, and hale. Nothing could have been worse to these participants who proceeded in their endeavor to complete this event, wet like tub soaked cats. We speak to the elements more than the obstacles because the elements were the obstacle that needed to be overcome in this event. The physical obstacles created by Norm we inconsequential compared to the mental angst of just continuing on. Even more of a mental obstacle was returning to the bottom of the hill and your drop box (a supply stash you could access after lap one) and realizing you had to repeat what you just endured. All of that brings us back to Wilfredo as he was one of those who lined up in the early morning hours ready to take on the mountain. So how did Wilfredo fare? KK&F: When you woke up the morning of the event, how did you feel? Wilfredo: Pretty crappy. I “attempted” to sleep at 8 the night before and failed pretty miserably. I just COULD NOT fall asleep! I eventually fell asleep around 11 after taking a cold shower (foreshadowing of the “fun” to come perhaps?). When I woke up at around 3:30AM, I kept thinking “Oh crap… It’s here…” It was a sense of both excitement and impending doom. KK&F: What did your breakfast consist of? I ate breakfast with my sister and brother in law. It was toast, peanut butter, jelly along with some oatmeal, eggs and bacon. No dairy! KK&F: When you pulled up to the event (Squaw Valley) describe your emotions? Wilfredo: The excitement and impending doom that I had when I got up that morning only kept getting worse as we got to the venue. I kept trying to fight off the pre-race jitters but they just kept coming back, and with a vengeance! KK&F: What was the nature of those around you in the starting corral? Wilfredo: Everyone seemed to be like me, both nervous and excited. KK&F: What were the first words you said to yourself when the gun went off? KK&F: At what point did you recognize that your training was affording you a better race? Wilfredo: I realized my training had paid off when I finished the first loop a lot faster than I had expected to. Although my coach and I decided that I should gun for finishing the first loop in 6 hours, I was expecting it to take me closer to eight hours since my finish time for my previous two Beasts I did this year took around seven and a half hours. I finished the first lap at around 6 and a half hours. KK&F: Could anything have prepared you for the swim? Wilfredo: Hmmm.. maybe swimming in the Bay or Pacifica and then going running with wet clothes on MIGHT have done the trick. KK&F: When you crossed the finish line, completing lap 1 and your halfway point, what was your state of mind. Wilfredo: After I finished lap 1, I knew I was still a while from being “halfway”. To me, it was like with a marathon: you’re “halfway” once you cross Mile 20. That said, I felt kinda beat, but not dead. KK&F: On a scale of 1-10, how badly did you want to sit down at the gear drop? If you didn’t, what stopped you? Note: Coach Mike meet Wilfredo at the gear drop and knowing how strong the desire is to sit and rest a bit before moving on is, yet how devastating it is to completing your goal, Coach Mike made sure Wilfredo made a quick transition and did not sit down, much to his immediate dismay. The effects of resting could be clearly seen by those in the pit area as what little strength they had going into the pit was lost and the ability to get up and move on was quickly becoming an impossibility. These resting individuals are typically titled the “fallen” or the “casualties” in endurance events of this type. KK&F: I understand you encountered an act of nature while at your drop box, describe what happened and if it affected your race? Wilfredo: While I was swapping my gear, somehow a bee/wasp got onto my glasses. It started going crazy and stung me on my eyelid. I had never been stung by a bee before so I had no idea whether or not I was allergic to bees. As to whether it affected my race, I’d say no. We got the stinger out really quickly, and after the initial sting all that was left really was a lingering pain. It was more of an annoyance than actual pain. KK&F: What one item would you have put in your drop box that you didn’t have? Wilfredo: Would an extra pair of legs count? =P I actually think I went overboard in terms of equipment both in my pack and in the gear drop. But if I was to throw something in the drop box, I’d say maybe a wetsuit to brave that insanely cold water. 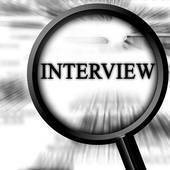 KK&F: Describe how embarking on the start of your second lap was playing on you emotionally? And how good your PBJ tasted? Wilfredo: Oh god, that peanut butter and jelly sandwich tasted like the nectar of the gods. I had actually never eaten a peanut butter and jelly sandwich until a couple days before the race, and I already thought they tasted amazing then (cue the adage “Don’t try anything new on race day”). But after 6 hours of racing, that sandwich was one of the best things I’d ever tasted in my whole life. Embarking on that second lap was both demoralizing and energizing: demoralizing since I knew I’d have to endure that frozen hell all over again (the never ending climb of Mt “F#ck This Sh*t”, The Log Carry/Bucket Brigade from Hell, The Pit of Despair, etc.) and that I would be nowhere near full power going into it. Yet at the same time, it was energizing since I knew that barring an injury or some disaster that caused Spartan to change the cutoffs, I was totally going to finish this race! This race was my personal “Mt Everest’ and conquering it would redefine everything that I thought I could accomplish. 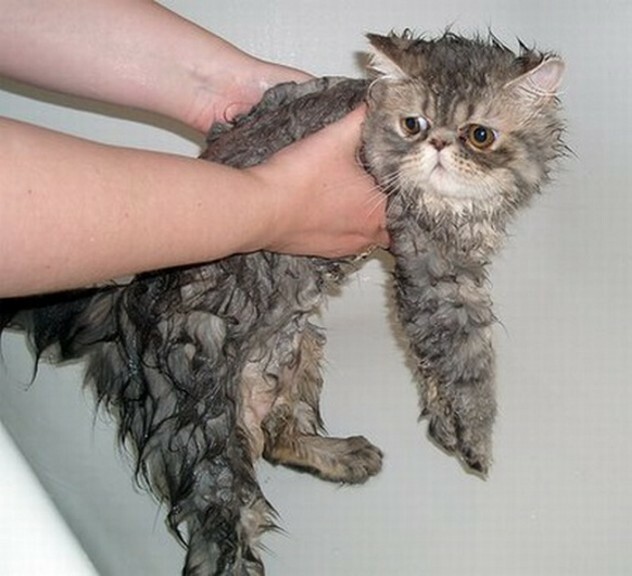 KK&F: I understand the weather turned pretty nasty, describe the weather and its effects on you? Wilfredo: I wouldn’t say it turned pretty nasty; it WAS nasty the whole day. Saturday was fairly nice, but overnight it rained. Sunday was cold, dreary, and windy for pretty much the entire race. I’d say there was maybe an hour or so when the sun actually decided to show itself. That said, I wasn’t particularly affected by the weather. I wore a rashguard and tights underneath my usual race gear (quick dry short sleeve shirt and triathlon shorts) and used warm gloves to keep my hands warm whenever they got wet. The only place where I really felt the cold was my feet. After getting my feet soaked in the first mile, they felt frozen until a good 8-9 miles into the race. KK&F: How many burpees did you do throughout the race? Wilfredo: Hahaha… you had to go there. Let’s see…I skipped the swim and dunk wall both times, so that’s 240 right there. Failed the Spear Throw, Monkey Bars, and Rope Climb both times, so add another 180 right there. Then there was the MultiRig that I failed both times (but got bailed out on the second one), and then I failed the Traverse Wall on my second loop. So that’s a grand total of….480? Wilfredo: This race was an 11 in my book. 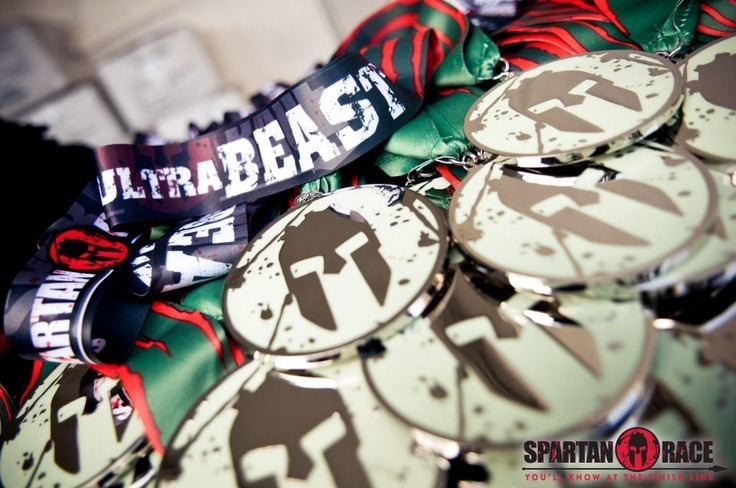 Before this race, the longest I had ever gone for a Spartan was 14-15 miles, and that lasted seven and a half hours. The Ultrabeast was supposed to have taken up to 15 hours, so basically it would have been twice as long as my longest race. This race took everything I had and more. At the end, I literally felt my body shutting down: I started to taste metal, my legs/arms started locking up and I literally couldn’t think straight. KK&F: What ended up being the hardest obstacle for you to encounter? Wilfredo: For hardest obstacle overall, I’d say the swim. Had I attempted it, I am 90% sure the outcome of the race would have been COMPLETELY different. I’d say the swim and the dunk wall eliminated at least 30% of the participants from the Beast and the Ultrabeast, most likely more. Although I did have a windbreaker on me, I bet my body would have shut down entirely. As for the hardest obstacle that I did attempt, that’s a tossup between the climb on Mile 6 to the top of Squaw Peak and the dreaded Bucket Brigade on Mile 13. Not only did the climb to the summit feel like eternity, but the weather being cold, foggy and windy just made things even worse. The Bucket Brigade was just plain evil. I heard it was a half mile out and back, which was SIGNIFICANTLY longer than anything I’d done before. Combined with a steep incline and ruthless volunteers shouting like drill sergeants, I’d say Bucket Brigade takes the cake. KK&F: If you could eliminate one obstacle on the course, what would it have been? 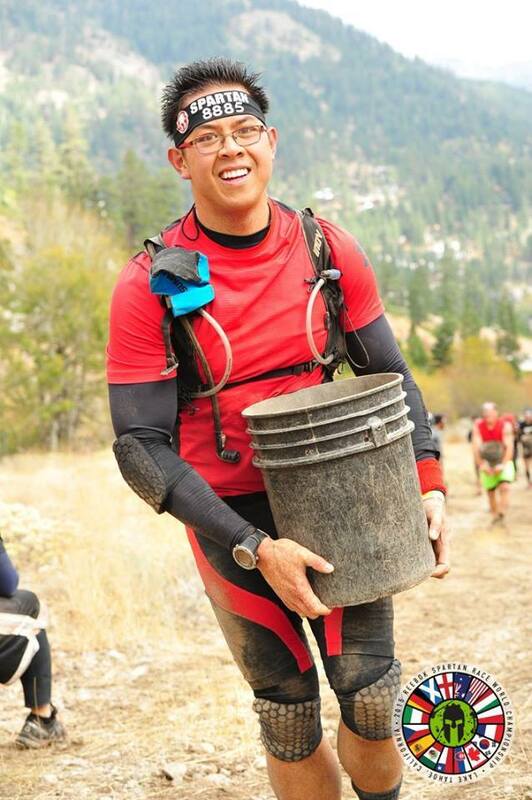 Wilfredo: Probably the Bucket Brigade, as there was no way to burpee out of it. KK&F: Did you ever seriously consider quitting? Wilfredo: No, not really. There were a lot of dark moments, especially during the first lap where I wasn’t sure if I was going to finish my first lap on time. I knew that in addition to having friends/family cheering for me both on and off the course, I knew deep down inside that I wanted to finish this more than anything. KK&F: So, Did you finish the UB and get your glow in the dark medal and belt buckle? Wilfredo: Yup. 14 hours and 15 minutes later, I became an Ultrabeast. After getting the glow in the dark medal, I went straight to the merch booth for the belt buckle. KK&F: Describe what those trophies mean to you? Wilfredo: These trophies have a huge meaning to me. They symbolize all the hard work and sacrifices I’ve made getting to this point in my life. Given that I ran my first obstacle race two years ago, and that prior to that I was 45 pounds heavier than I am now, it’s nothing short of incredible. To me, they truly are proof that when I zero in and focus my time, will, and energy 110% on a goal, there is truly no force that can stop me from achieving it. KK&F: Just before the finish line, you had one last obstacle complete or 30 burpees, how much painful was seeing the finish line beyond that obstacle? Wilfredo: It was excruciating. I had just failed the second to last obstacle (the Traverse Wall) by losing my footing right before hitting the bell. I knew I was spent and that doing the MultiRig just added insult to injury. KK&F: What would you do, if anything, differently? Wilfredo: A lot of things actually. First, I would have increased my training timeline. 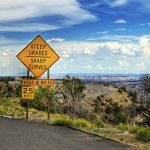 Although I had been training constantly throughout the year, I increased my training load DRAMATICALLY during the six or seven weeks leading up to the race. I had to make a lot of lifestyle adjustments that I am not sure I would be able to make again. I would probably have allotted at least four to six months of consistent focused training. Second, I would probably focus a lot more on obstacle specific and upper body training. I failed a lot of the upper body and skill based obstacles (Rope Climb, Multi Rig, Monkey Bars, Spear Throw to name a few). I’m definitely planning on working on these leading into the 2016 season. Lastly, I would have focused a lot more on trail running technique. I had no issues running on non-technical terrain but as soon as rocks started coming into the picture (especially at night), I pretty much slowed to a walk. KK&F: Will you do another UB? Wilfredo: Yep. Definitely doing another one, possibly in 2016! 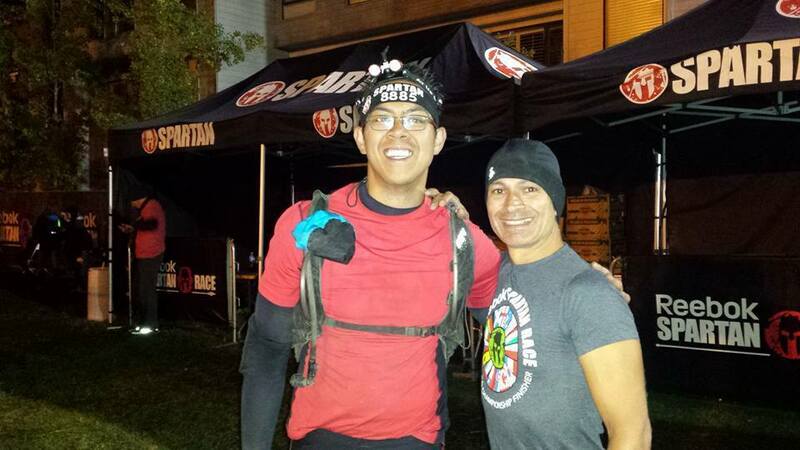 We are extremely proud of Wilfredo’s completion of the Spartan Ultra Beast. He committed to an extremely rigorous training plan 6 weeks before the start of the race. While this was not an ideal timeline as he mentioned during his interview, he recognized huge gains in the process. More than just the strength and ability to run longer and faster, he was able to endure the workouts and doing so, unknowingly, made him mentally and physically prepared for this event. 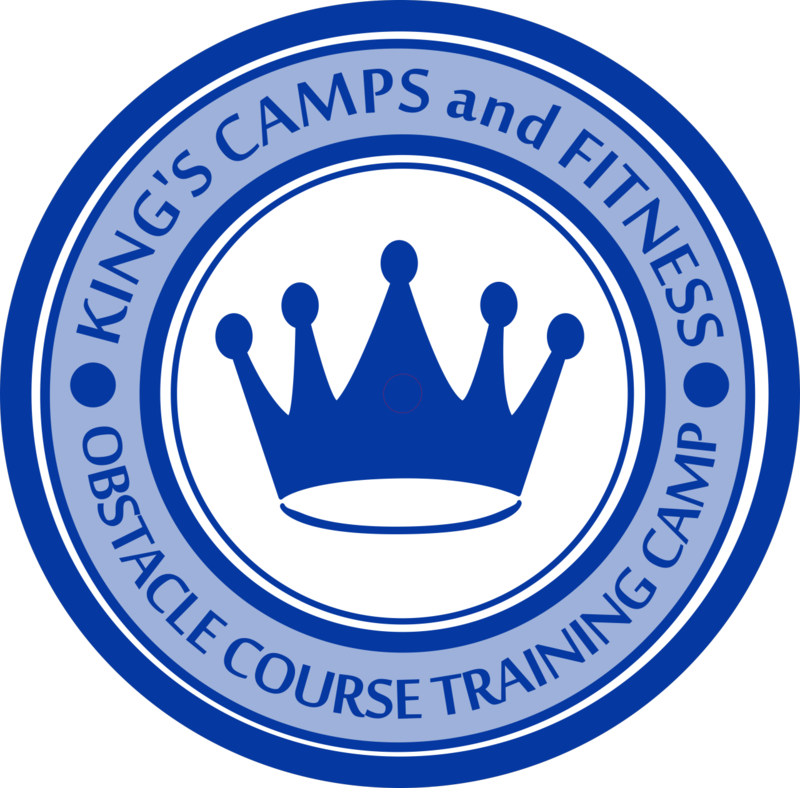 King’s Camps and Fitness offers customized training plans that incorporate run coaching, fitness with or without and OCR specificity, Obstacle Course Training Camps for hands on experience and practice with the obstacles, and event coaching from seasoned veterans. If you are interested in improving and Overcome Your Obstacles, be sure to reach out to us.